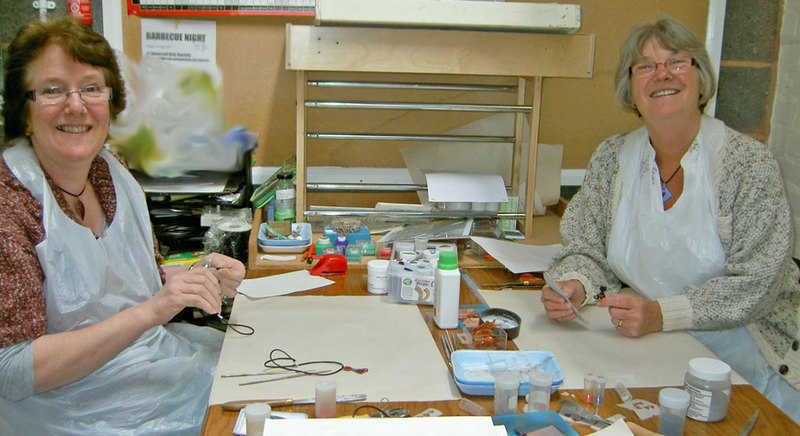 Would you like to learn enamelling? 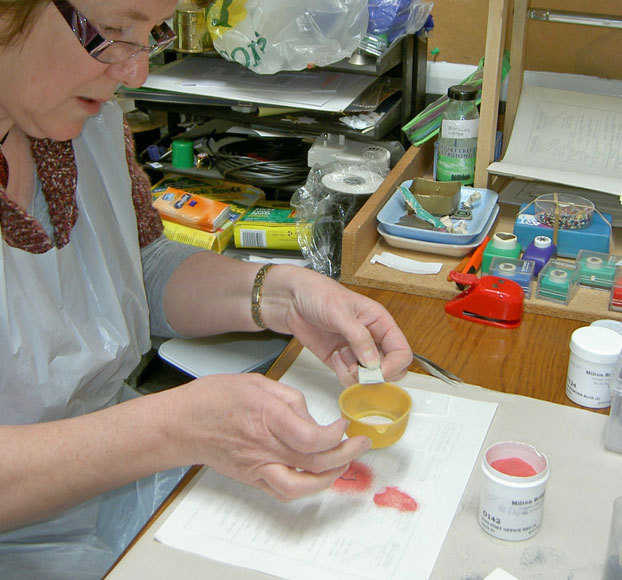 In a two hour taster session, you can learn the basics of enamelling and make your very own piece of jewellery to keep or give as a present. I teach small groups (2-3 people) in the workshop area of the studio. See below for examples of jewellery which students have made at sessions. It's fun to come with friends and even if you don't all consider yourselves naturally good at crafts you will be able create something beautiful! What's more there is a £5 per person discount for booking all three places. A one to one session costs £39, two people booking together £25 each and if all three places are booked together £20 per person. Sessions are usually available on Wednesdays,Thursdays, and Saturdays. Other days may be possible by arrangement. Please note: Saturday sessions are generally only available between January and October as I attend seasonal craft fairs in November and December. To Book: Please complete the form below giving some available dates and I will confirm the booking and give you any further information you may need. Alternatively call in to the workshop or call 07952 915229 or email: [email protected] about arranging a session. Gift vouchers are available on the 'Enamelling Gift Vouchers' page. Click on the image (above left), to go to the page. Please note: The above are prices are for individuals. Corporate rates apply for businesses and other organisations.